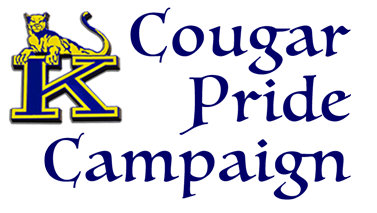 The Friends of Kaiser PTSA supports the students, staff, and administrators of Henry J. Kaiser High School in their quest for a high quality education and high school experience. 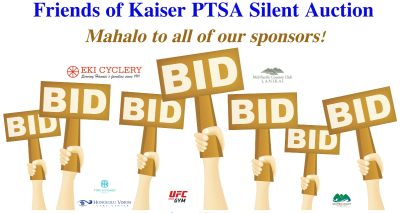 Kaiser’s biggest silent auction to date benefits the Friends of Kaiser PTSA. The auction was held in February 2019. Project Graduation is a drug- and alcohol-free party held for the seniors immediately following the graduation ceremony. It is the last night they will spend together as a class and a wonderful way to celebrate their graduation. 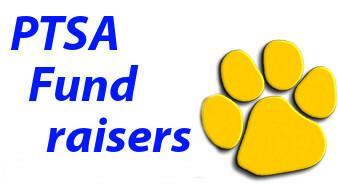 Mahalo for supporting PTSA fundraisers. Check out what's available this week! Research shows that students do better when their families are involved both at home and at school. Grades are higher. Test scores rise. Self-esteem grows. Schools improve. 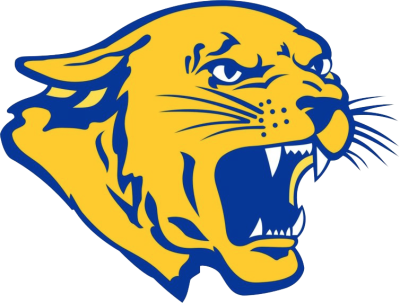 Get into the Cougar Spirit with the new Cougar Pride logo items for sale now: T-shirts, hoodies, visors, hats and soft nylon stadium seats. Order here through PayPal or email PCNC Ann Olson. 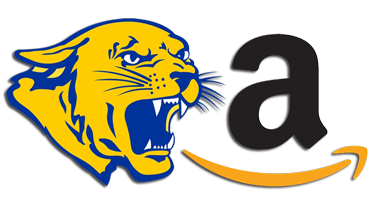 The Friends of Kaiser PTSA earns 4-10% of purchases made when you shop at Amazon.com using any of the special links on this website. 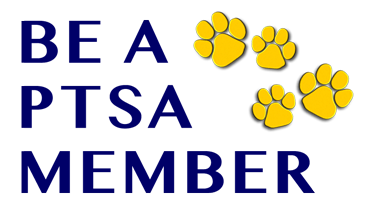 PTSA’s Cougar Pride campaign offers parents the opportunity to support their children’s education by helping to provide those extras that enhance the academic offerings of the school.